Two astronauts from the United States and Russia are safe after an emergency landing in the steppes of Kazakhstan yesterday. Their sudden return to Earth followed the failure of a Russian booster rocket carrying them to the International Space Station. The failure raises questions about Russia’s ability to maintain high standards of manufacturing. 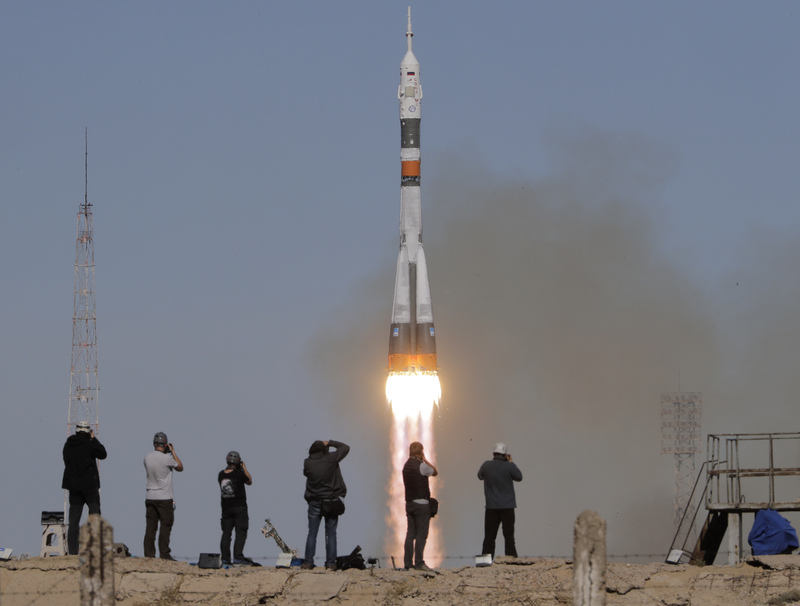 NASA astronaut Nick Hague and Roscosmos’ Alexei Ovchinin lifted off at 2:40 p.m. Thursday in Kazakhstan. Their Soyuz booster rocket failed about two minutes after the launch. The rescue capsule then automatically pushed away from the booster and went into a descent, landing at a sharper-than-normal angle—making for unusually heavy gravitational force on the crew. The capsule landed about 12 miles east of the city of Dzhezkazgan in Kazakhstan. Search-and-rescue teams immediately scrambled to recover the crew, and paratroopers dropped from a plane to reach the site and help the rescue effort. The Russian space program has been dogged by a string of launch failures and other incidents in recent years. But Thursday’s mishap marked the program’s first manned launch failure since September 1983, when a Soyuz exploded on the launch pad. Relations between Moscow and Washington are strained over the crisis in Ukraine, the war in Syria, and allegations of Russian meddling in the 2016 U.S. election. But the two have maintained cooperation in space research. Wow, that has got to be scary for both the ground crew and the astronauts going up. Scary! It is good that they survived. I am so glad the astronauts survived the crash. Scary! Being an astronaut sounds dangerous! Glad they're okay! Sort of off topic, but Jim Bridenstine (NASA administrator) used to be our US senator. I visited his office in DC and got to sit in his chair. He wasn't there though.